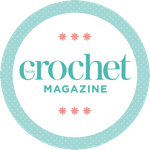 weight cashmere and Merino wool mix, Nest is a luxurious treat to crochet with. With this complementary colourway we’d suggest hooking up a special accessory, just for you! Visit our competition page to throw your name in the hat for this prize.